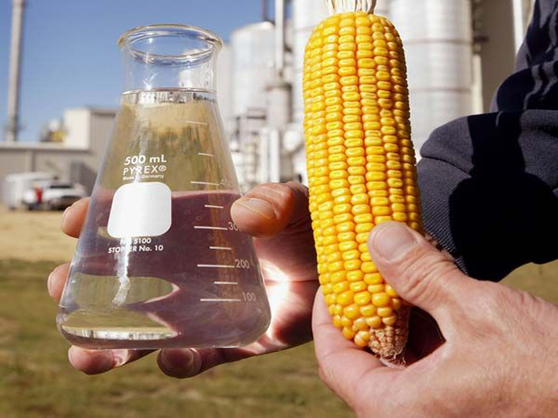 In separate letters sent Tuesday, Governor Beverly Perdue (D-NC) and Governor Mike Beebe (D-AR) officially petitioned the U.S. Environmental Protection Agency (EPA) to grant a waiver from the ethanol quotas mandated by the federal Renewable Fuels Standard (RFS). “While the drought may have triggered the price spike in corn, an underlying cause is the federal policy mandating ever-increasing amounts of corn for fuel,” Governor Beebe said in his petition. “The higher feed costs following the passage of RFS1 in 2005 and RFS2 in 2007 have resulted in a long-term shortage of grain in our nation, especially corn, and are clearly taking a terrible toll on Arkansas’ poultry and animal agriculture, potentially forcing reduced production and job losses and increasing food prices for consumers worldwide… I urge you to begin a formal process for considering a waiver of the renewable fuel mandate,” Beebe concluded. Arkansas and North Carolina are the second and fourth largest broiler chicken producing states, respectively. For turkey production, North Carolina ranks second and Arkansas third nationally. The National Chicken Council and National Turkey Federation offered strong support for the petitions requesting an immediate RFS waiver and lauded Governors Perdue and Beebe for their leadership. The governors’ petitions come on the heels of last Friday’s World Agricultural Supply and Demand Estimates (WASDE) report, in which the U.S. Department of Agriculture (USDA) slashed its estimate for the 2012-13 corn crop. USDA forecasted the 2012-13 corn crop to be 10.8 billion bushels with a yield of 123.4 bushels per acre, down more than 22 bushels per acre from the last estimate. This severely reduced corn supply will result in 533 million bushels fewer than the previous estimates , an ending carry-over inventory of corn for the 2012-13 crop year of 650 million bushels, or 5.8 percent of total corn usage . It would be the smallest carry-over since 1995-96 crop year. USDA also forecasts record high corn prices of $7.50 to $8.90 per bushel at the farm level, which could be more than 40 percent higher than the 2011-12 crop year. Further, USDA reduced its feed usage forecast from its report last month by over 15 percent; much of this short corn crop’s burden will fall heavily on poultry and livestock producers. Governors Perdue and Beebe join a long list of recent requests to waive the RFS, including calls from 156 U.S. House members, 26 U.S. Senators, poultry and livestock producers, the United Nations, Maryland Governor Martin O'Malley and Delaware Governor Jack Markell.